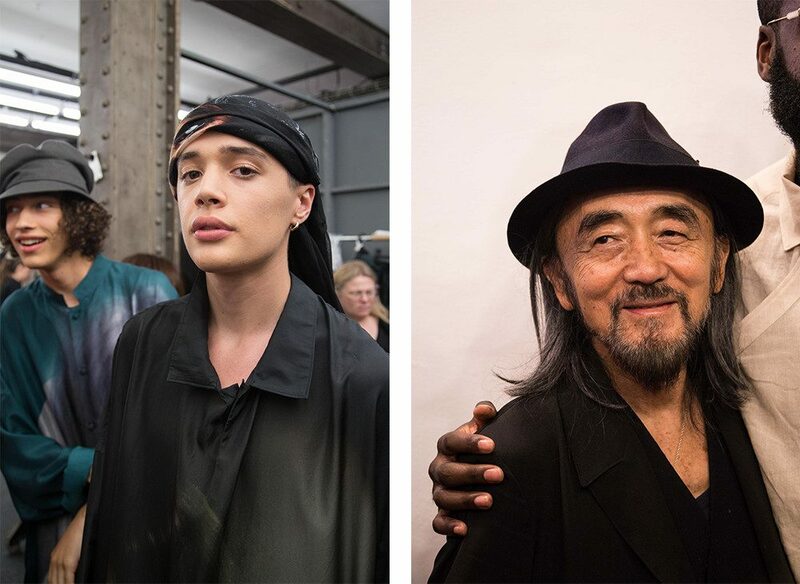 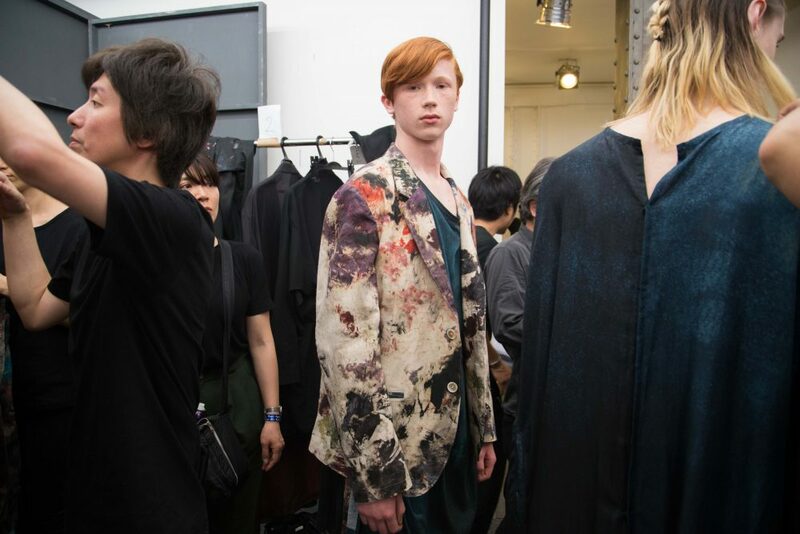 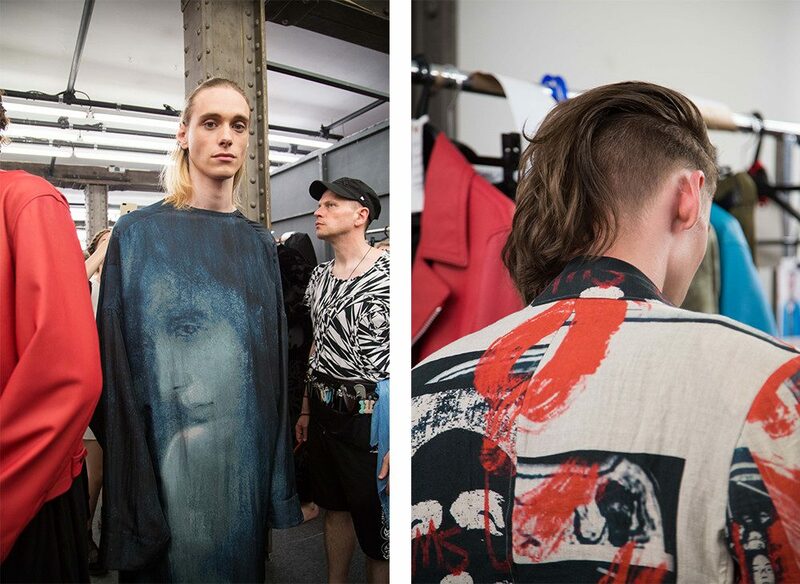 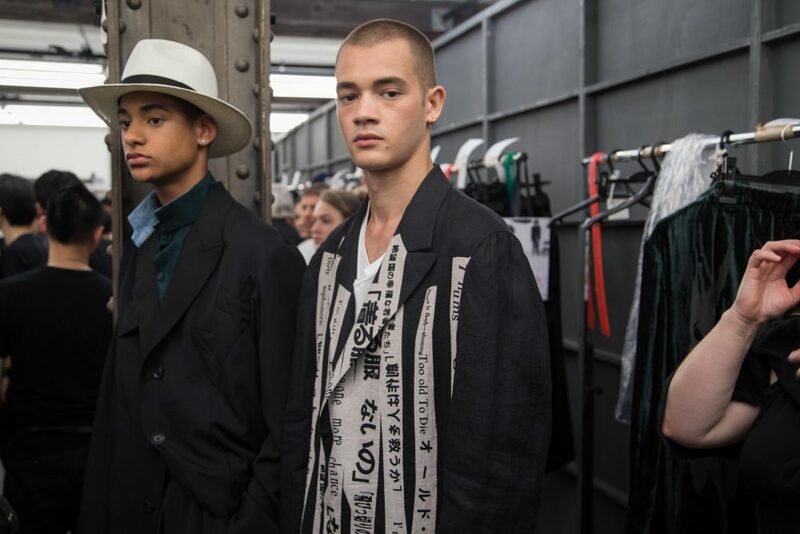 With a signature conceptual take on design, Yohji Yamamoto presented a painterly collection for Spring/Summer 2018. 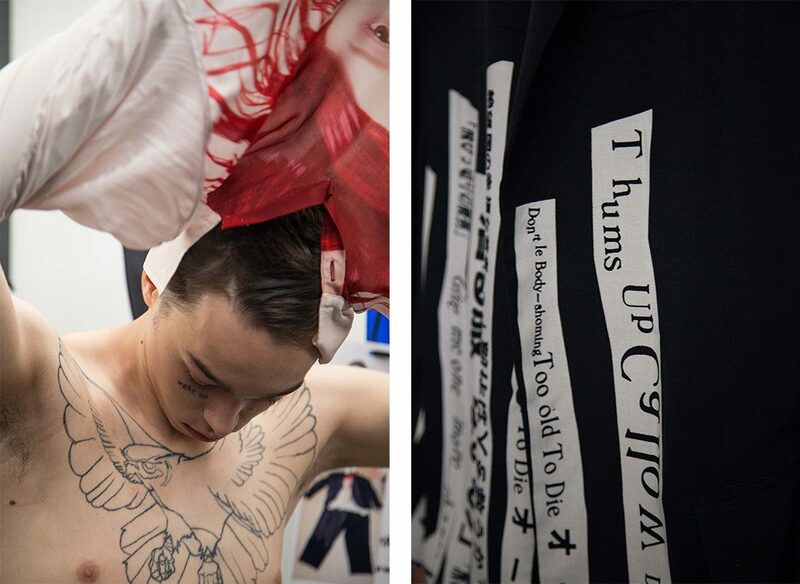 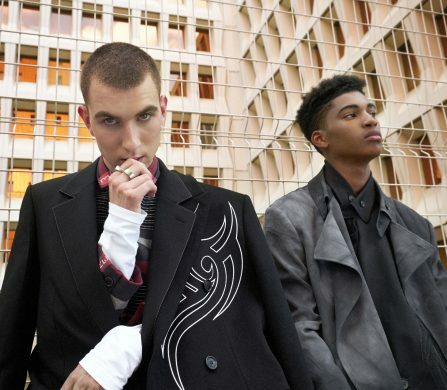 With slogans deconstructed into seemingly vacuous messages – a stab perhaps at the mantras of a media heavy generation – calligraphy bound the beautifully crafted pieces together. 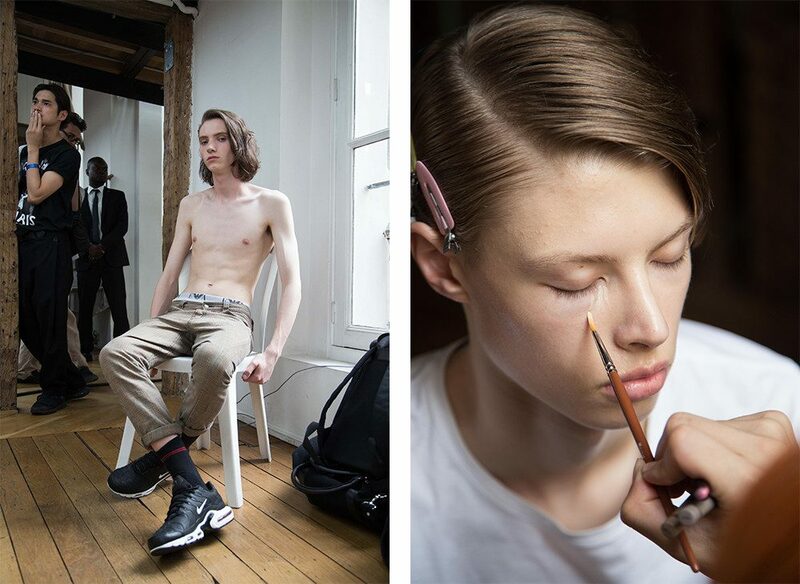 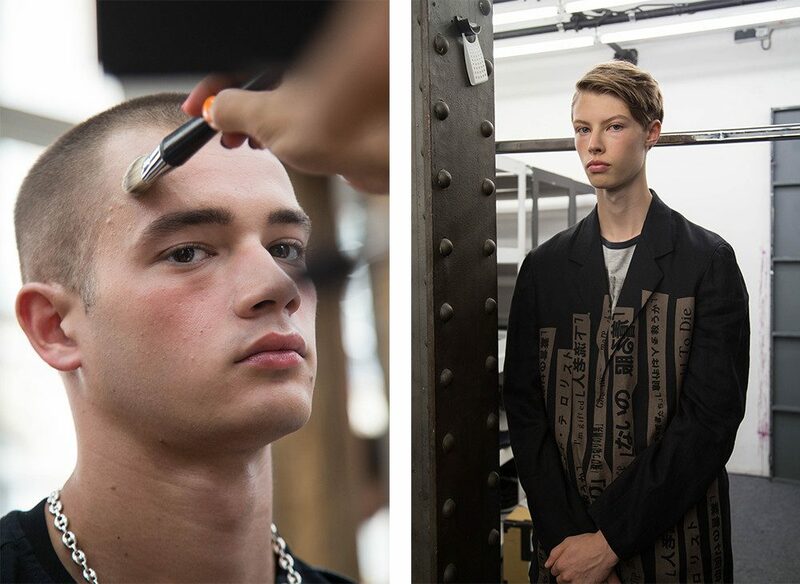 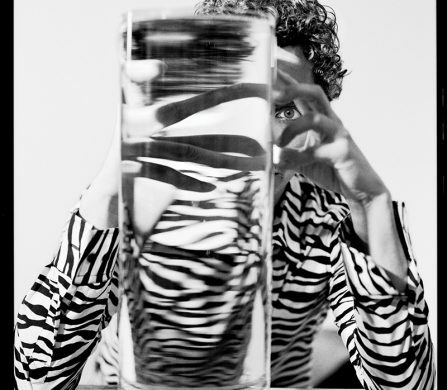 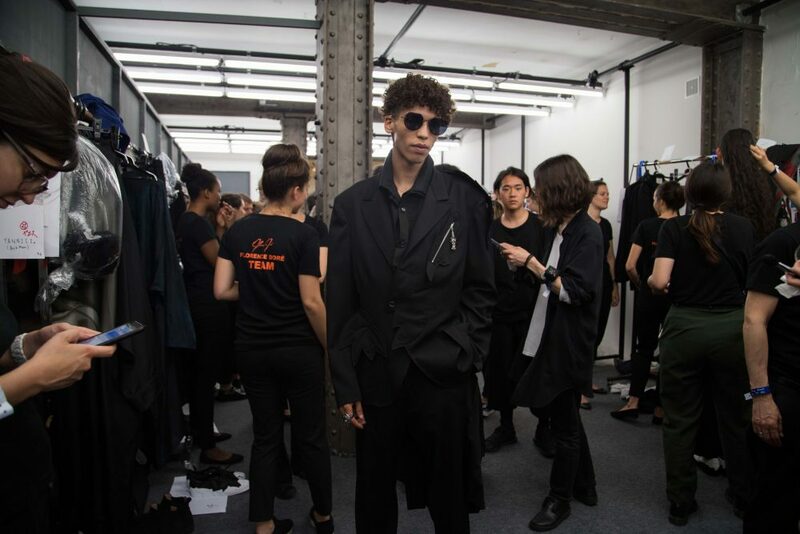 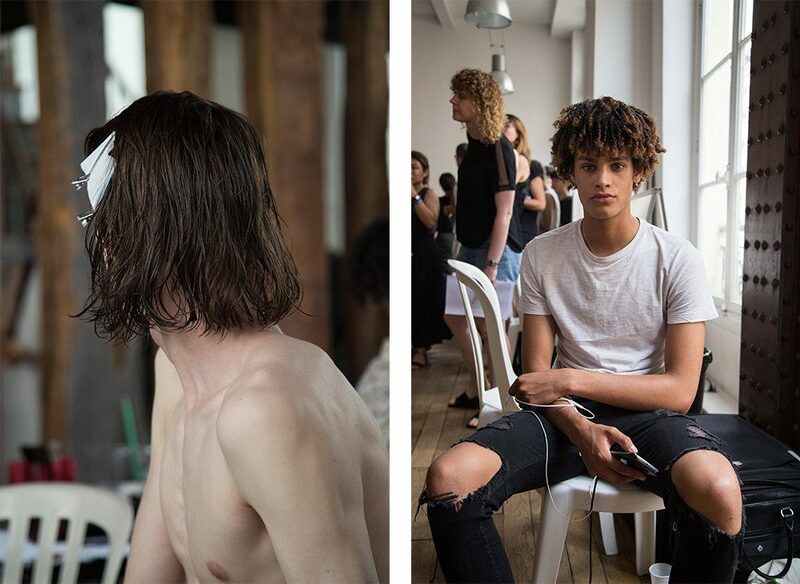 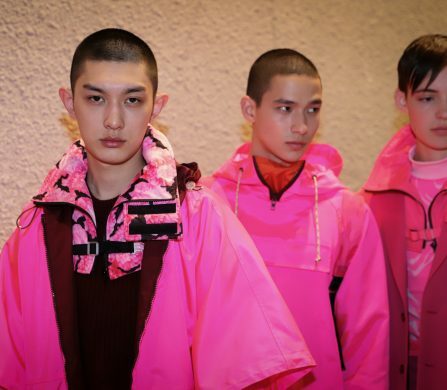 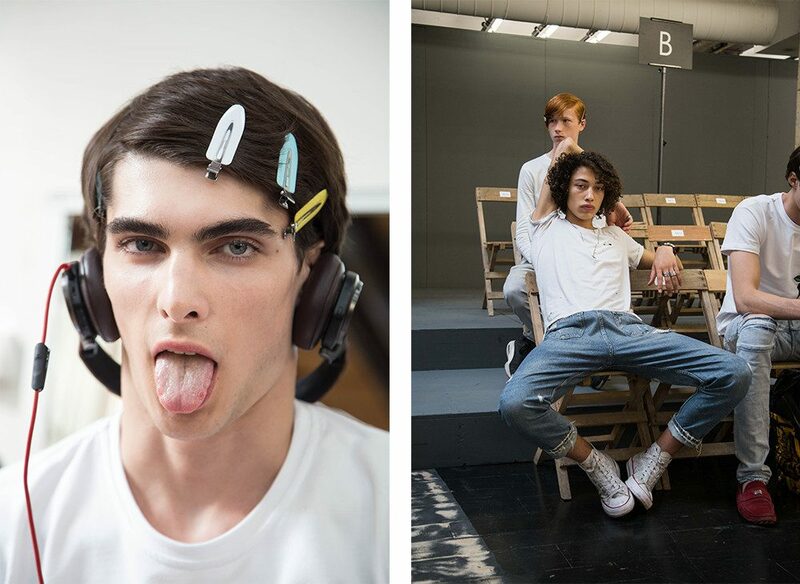 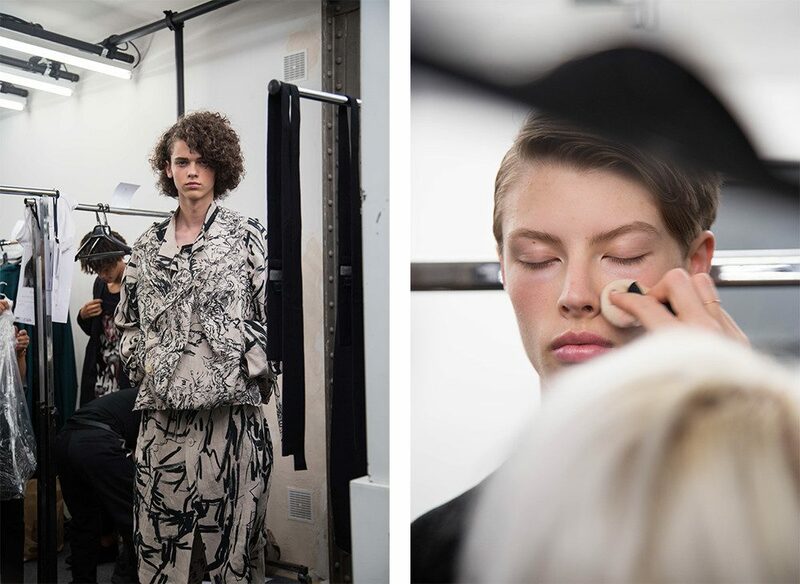 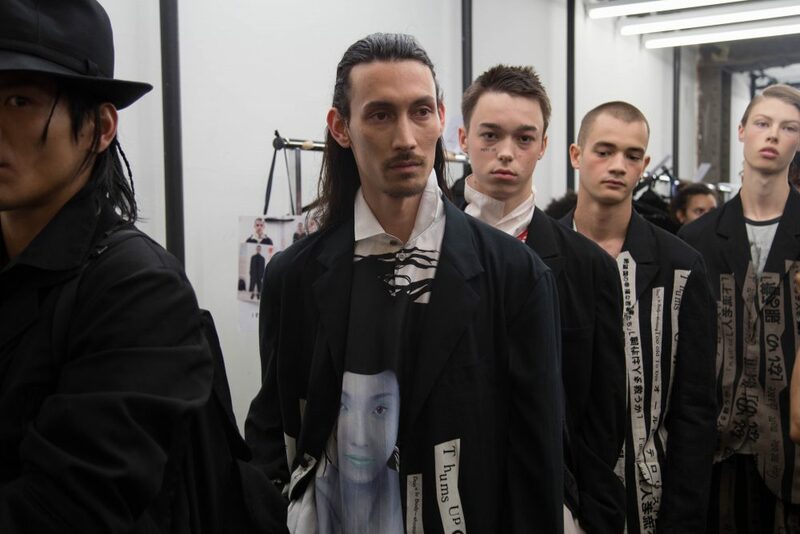 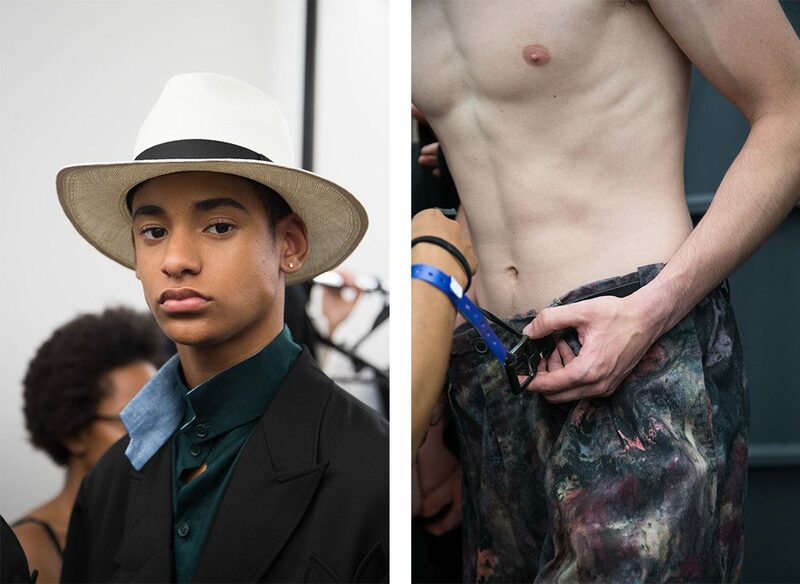 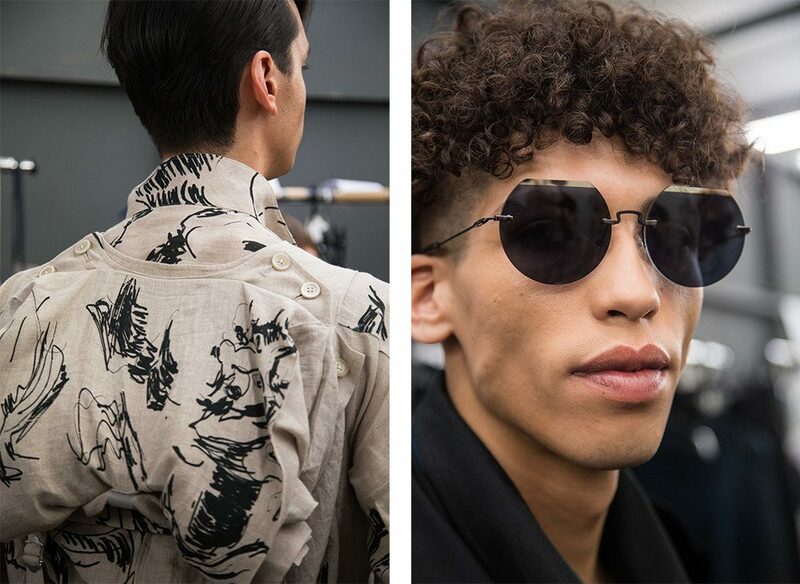 Photographer Giuseppe Triscari takes us backstage at the show as models prepared to emerge into the showspace of Yamamoto’s headquarters in Rue Saint Martin.